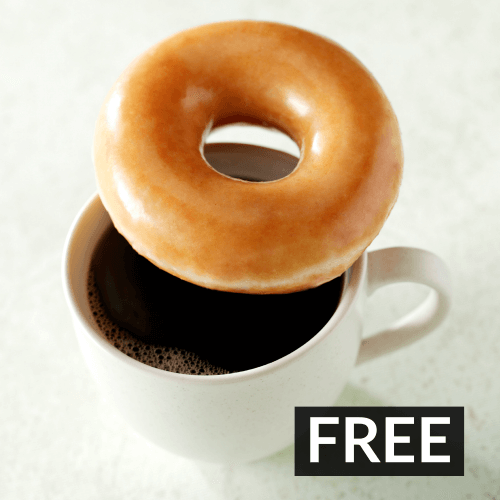 One FREE Original Glazed® Doughnut with the purchase of any sized cup of coffee per person per visit until 2/28/17. Cannot be combined with any other coupons of offers, offer valid at participating locations only. Offer not valid at CT Casino locations, Florence, SC & Puerto Rico.